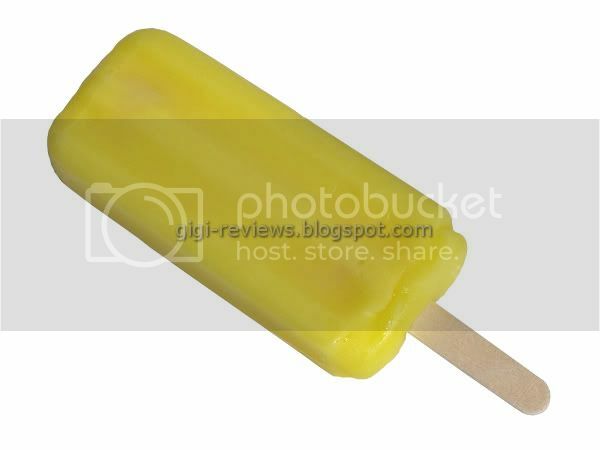 Ice cold pineapple has got to be one of the most refreshing things on the planet. I love fresh, ripe slices, as cold as possible. One of my favorite places to snack at Disneyland is the long-standing Dole Pineapple Hut. It's at the entrance to Adventureland, and all they sell is pineapple spears, juice, and -- the thing that makes standing in the always outrageously long line worth it: the Dole Whip. 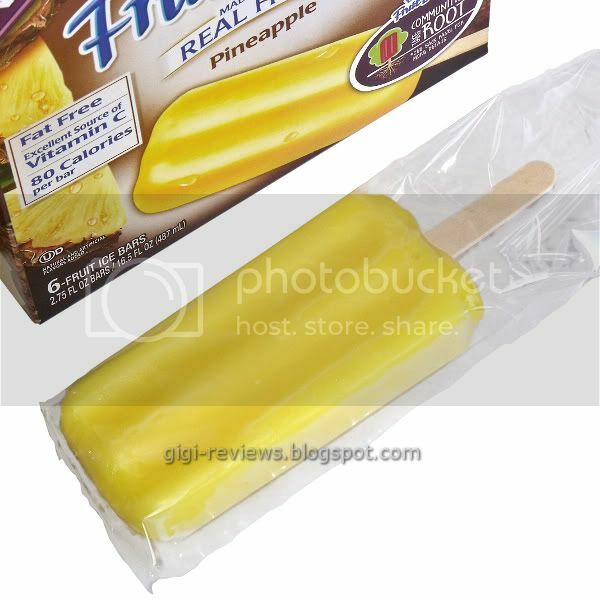 True, there are -- or at least were -- other pineapple Popsicles out there. But they were always aimed at kids, and tasted more like pineapple flavoring rather than actual pineapple juice. I am not going to blather too much on this one one. These bars are so good it almost, almost, makes me forgive Dreyers/Edy's for making the despicable "Fun Flavors" line (almost). 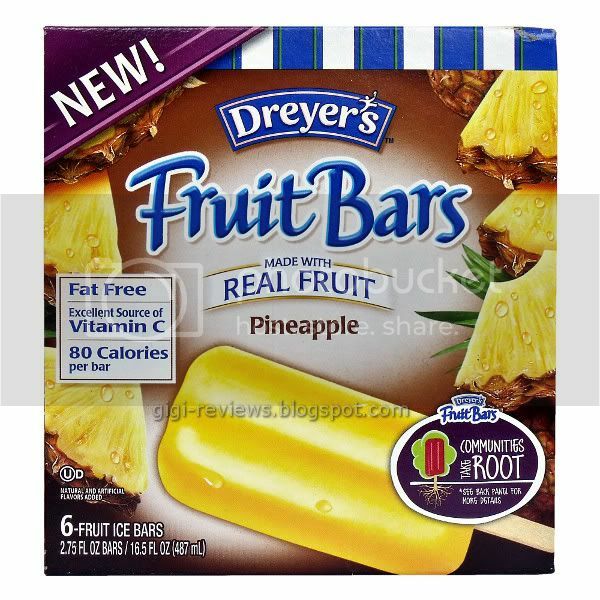 The sunny yellow bars have the sweet taste of perfectly ripe pineapple, with just a little extra sugar added. And there are little bits of pineapple pulp. It's possible that I may have actually eaten two in a row...purely in the name of providing a good review, of course. I mean, what if they weren't as good as I'd thought they were the first time around? You can never be too sure, right? By the second bar, I think they may have actually been better than I'd first thought. Which means the second bar was entirely justified. Fat free, gluten free, nut free, kosher.